A first for Orbital ATK has safely arrived in Kourou, French Guiana, for its upcoming launch on an Arianespace rocket in January 2018. The Al Yah 3 satellite is scheduled for launch in January, 2018. 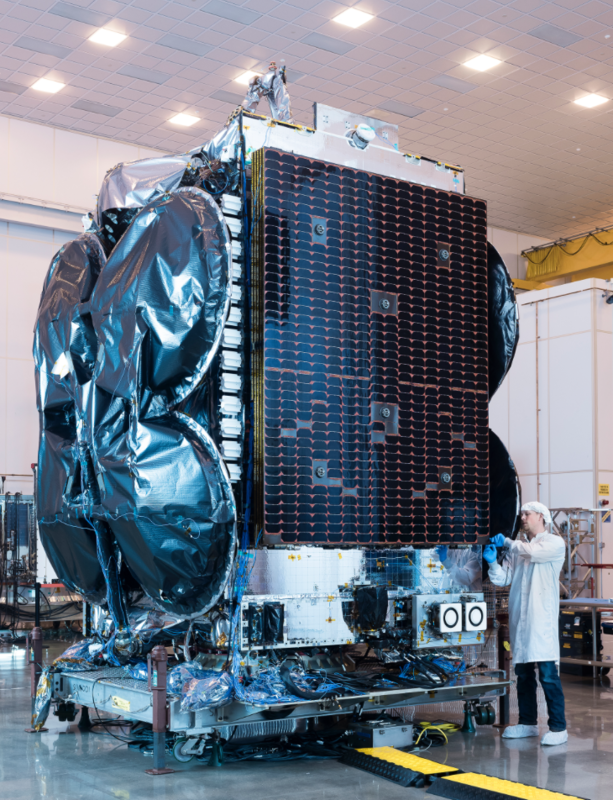 Orbital ATK's (NYSE: OA) Al Yah 3, built for Al Yah Satellite Communications Company PrJSC (Yahsat), a global satellite operator, is the first hybrid electric propulsion GEOStar-3™ satellite to be completed by Orbital ATK. The satellite was built at the company’s satellite manufacturing facility in Dulles, Virginia, and shipped to the launch site on November 28. Al Yah 3 will extend Yahsat’s commercial Ka-band coverage to an additional 600 million users across Africa and Brazil. Al Yah 3 is an all Ka-band high-throughput and lightweight satellite that sets a new standard for affordability and payload flexibility in its class. The spacecraft will provide affordable broadband communications to 60 percent of Africa’s population and more than 95 percent of Brazil’s population. Amer Khouri, Vice President of the Commercial Satellite Business at Orbital ATK said that today’s delivery highlights the teamwork and cooperation between Orbital ATK and Yahsat that brings Orbital ATK one step closer to advancing our customer’s goals. He added that with the satellite now in Kourou, they look forward to working with both Yahsat and Arianespace to prepare for a successful launch in January. Marcus Vilaca, Chief Technology Officer at Yahsat stated that Al Yah 3 is a significant milestone in realizing their vision at Yahsat. Extending their affordable broadband services to 60 percent of the people in Africa and more than 95 percent in Brazil to bridge the digital divide and enable a more connected world is core to our strategy, and they look forward to the successful launch of Al Yah 3 and thereafter furthering their ambitions via future missions to support more growth for YahClick, and for our other business lines such as commercial in-flight connectivity.